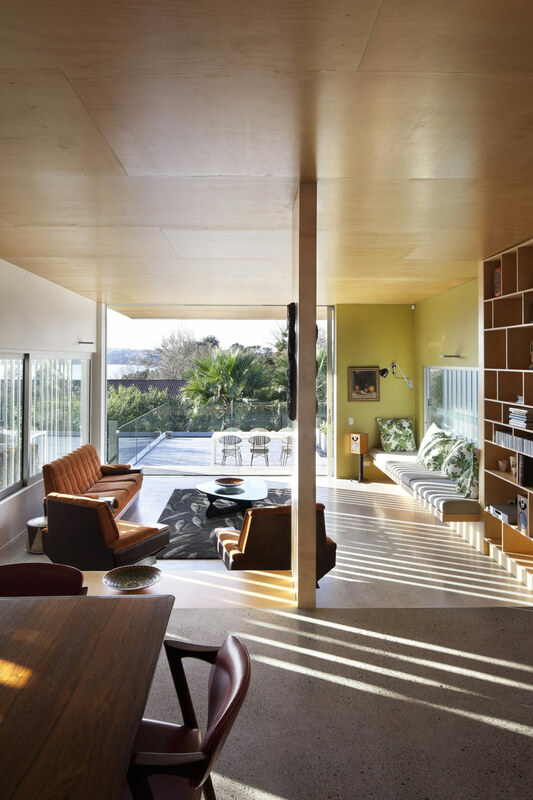 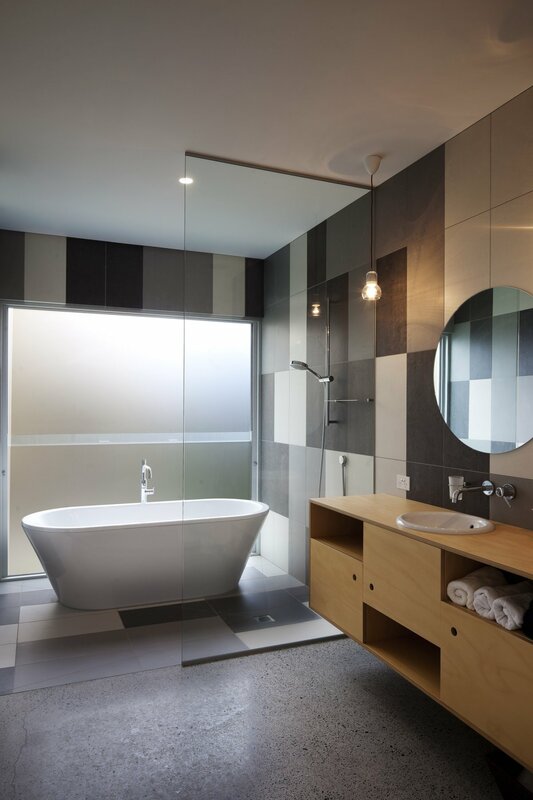 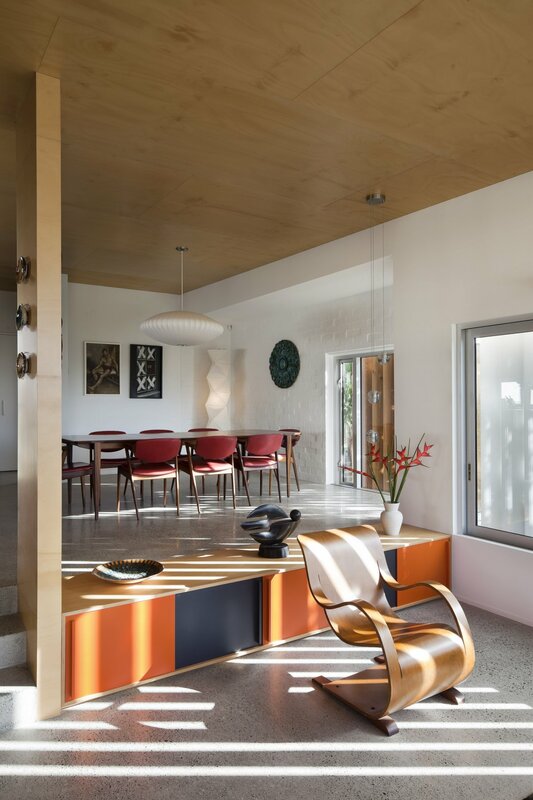 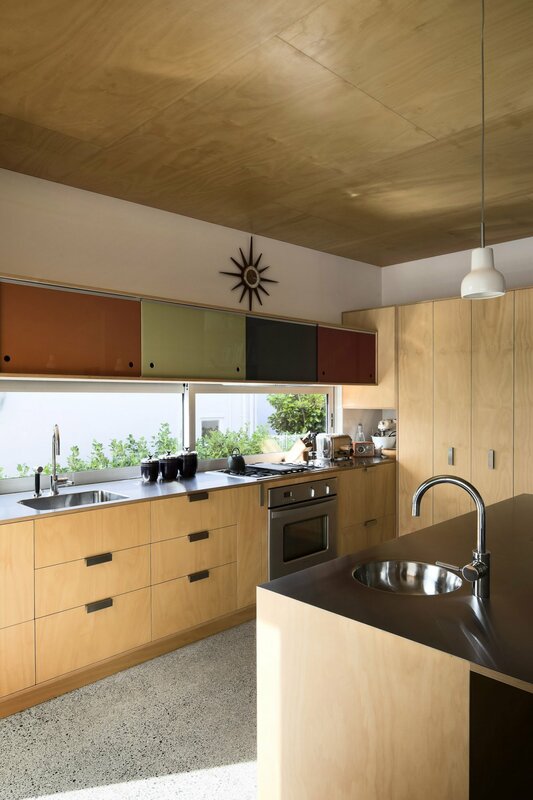 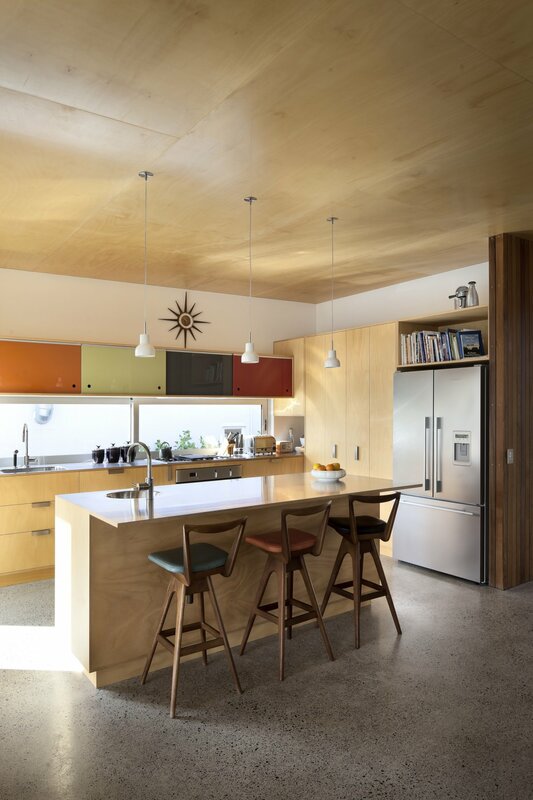 The Brown Vujcich House was completed by the Auckland based studio Bossley Architects. 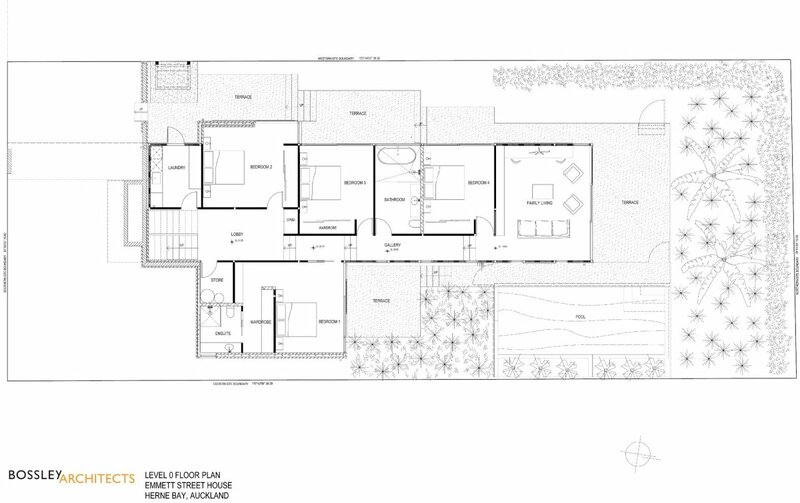 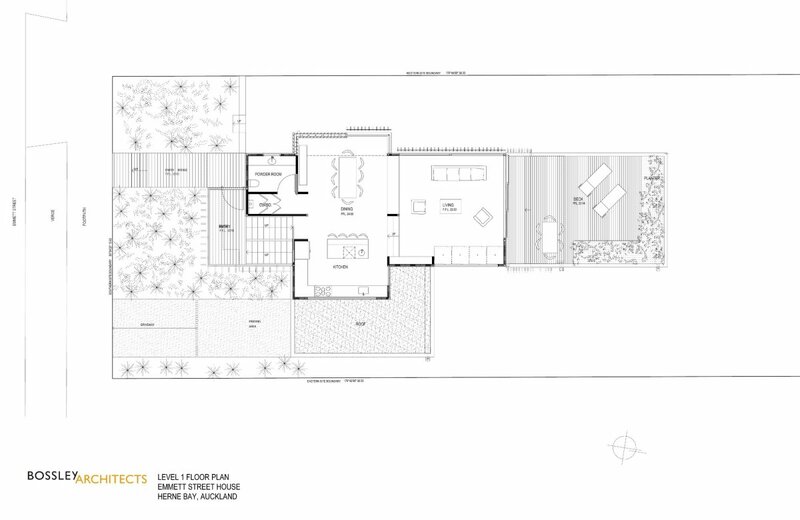 This long and narrow contemporary home steps down the slope of the site. 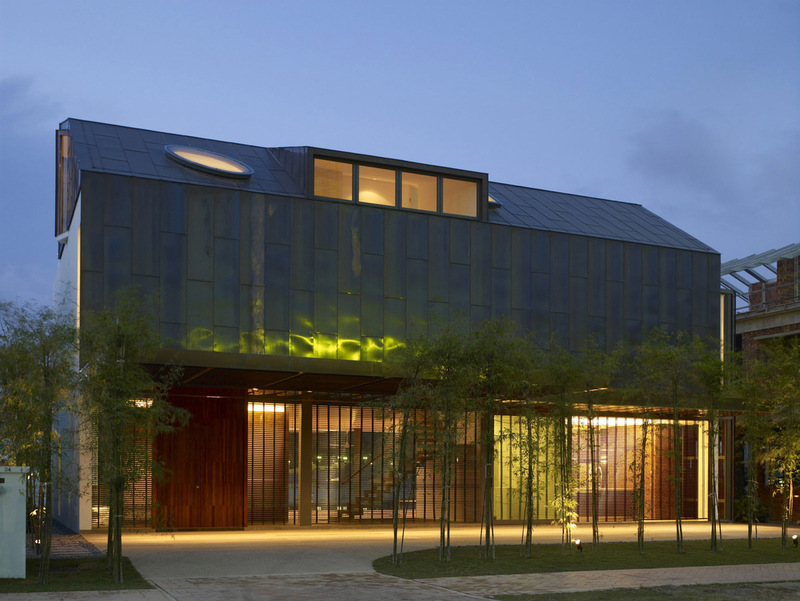 The entrance is accessed via a bridge that crosses a planted moat. 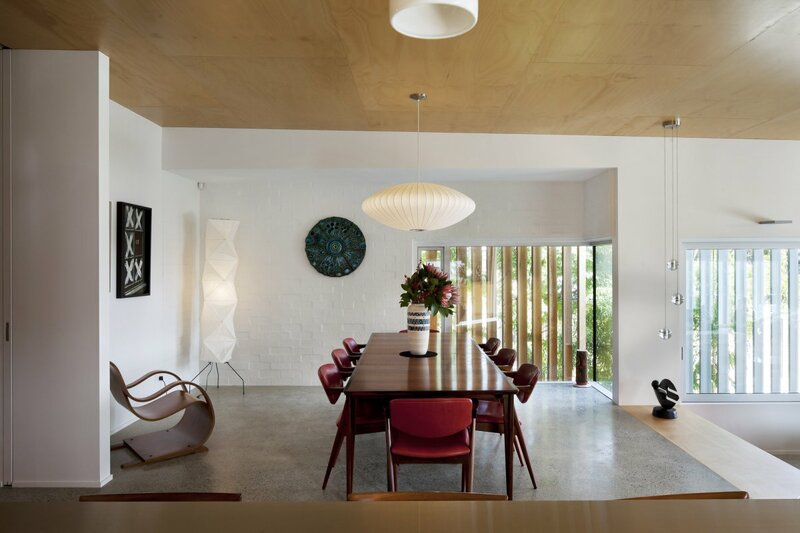 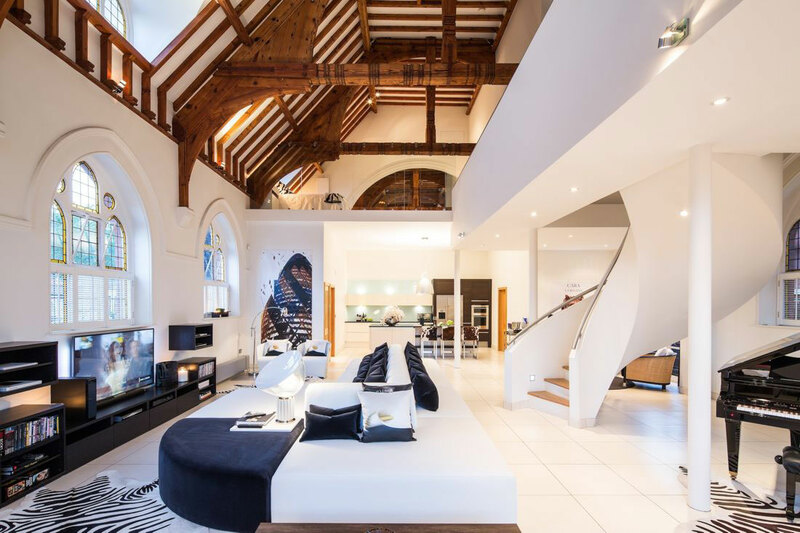 The interior has been filled with the client’s fabulous collection of 1950-60s furniture, art and ceramics. 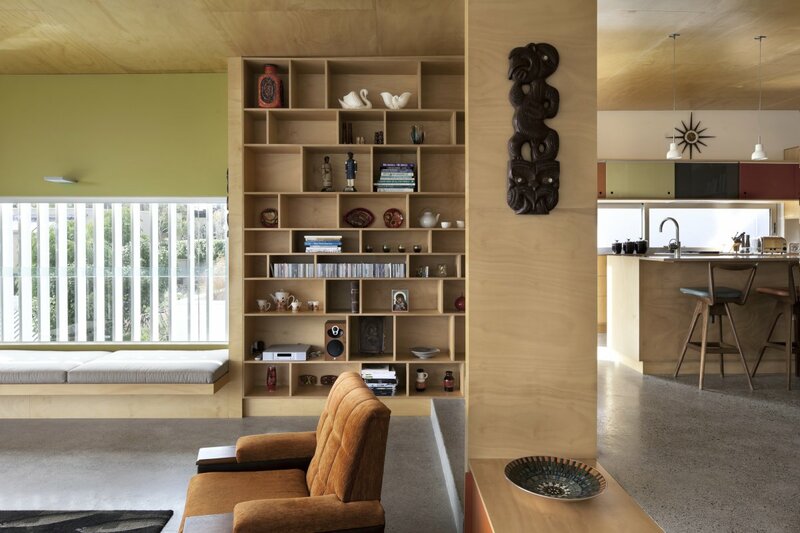 The Brown Vujcich House is located in Auckland, New Zealand. 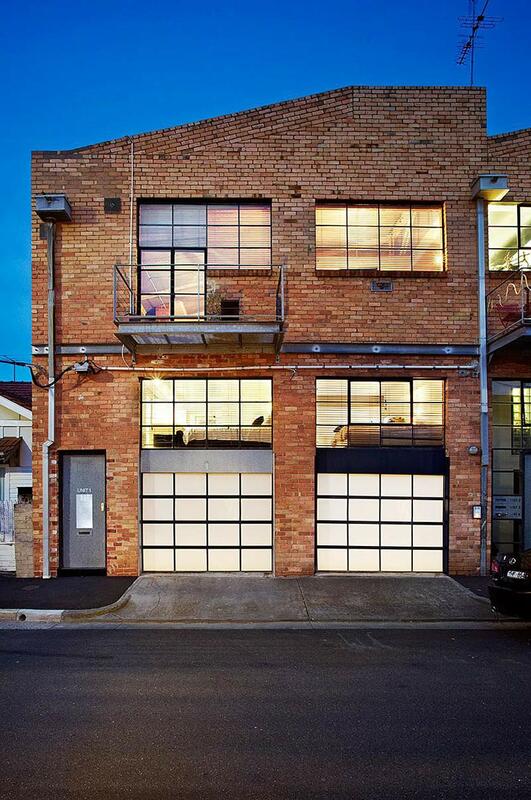 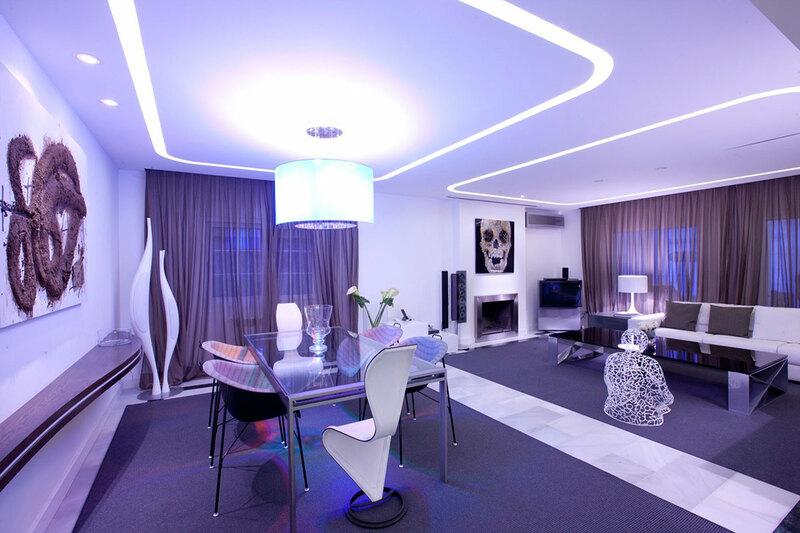 “This house is located on a narrow urban site in the heart of Herne Bay. 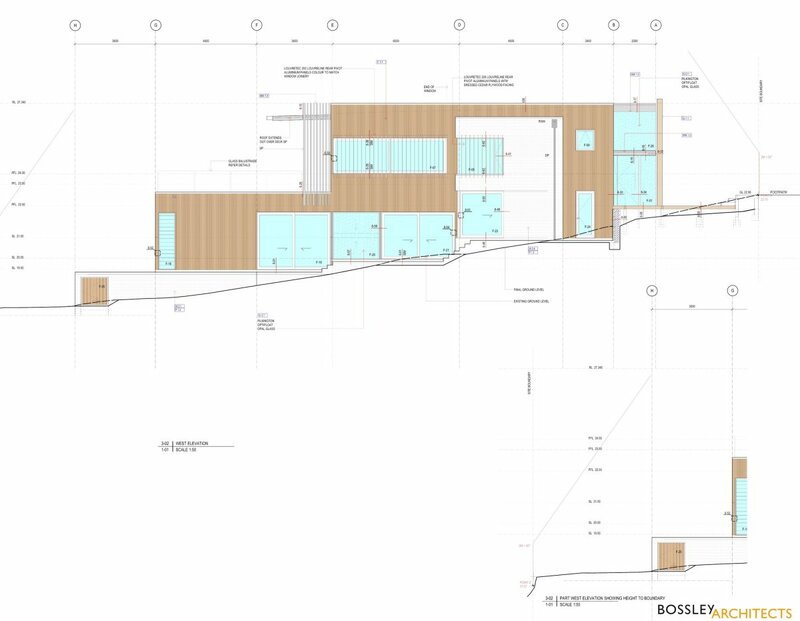 Tight site controls and a sloping site resulted in a long narrow building form that steps down the slope of the site. 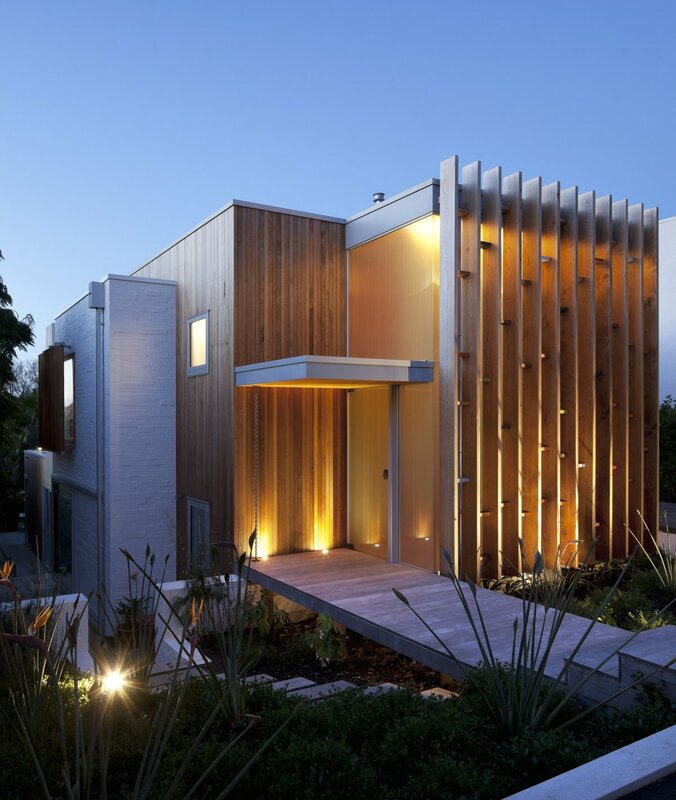 One of the main features of the house is the entry which is reached by a bridge that crosses a moat of planting. 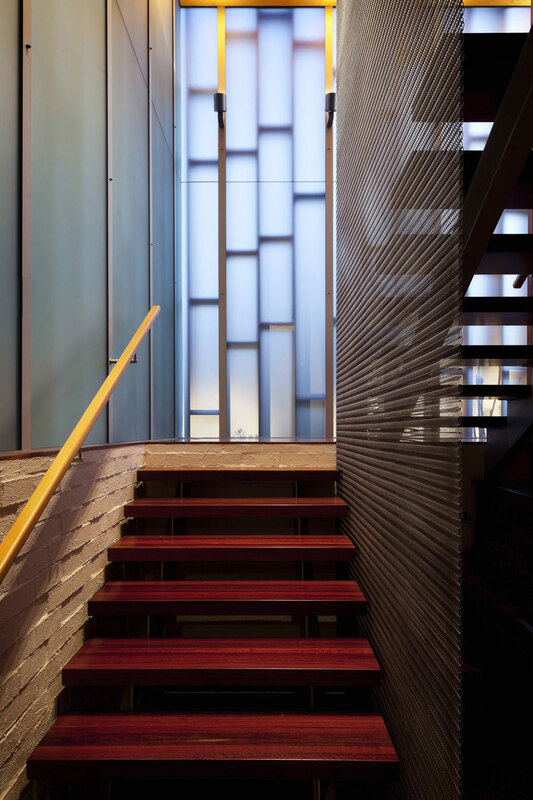 The entry is glazed with translucent glass to give privacy and a beautiful soft light to the interior spaces. 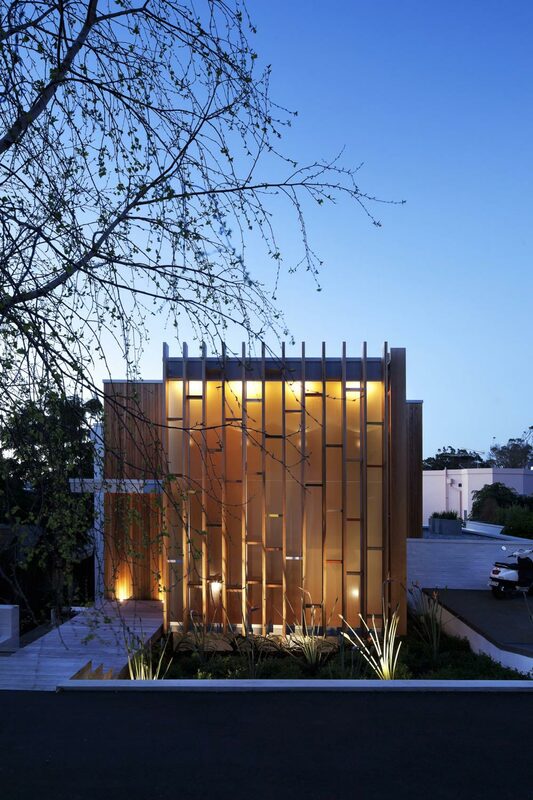 The entry space is protected by a vertical cedar screen with intermittent horizontals painted with colours that have also been used on the interior and inspired by the clients’ fantastic collection of 1950 -60s furniture, art and ceramics. 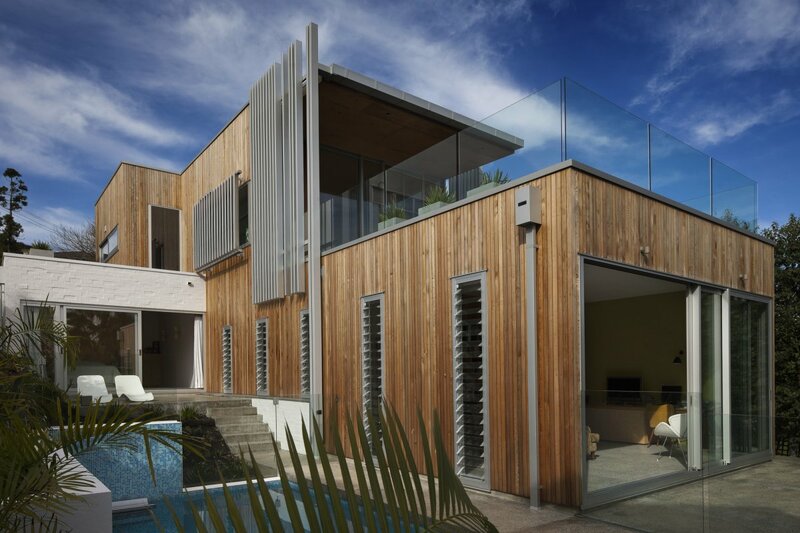 Light and privacy is modulated on the upper levels by opening and closing vertical lourveline panels or either cedar or aluminium. 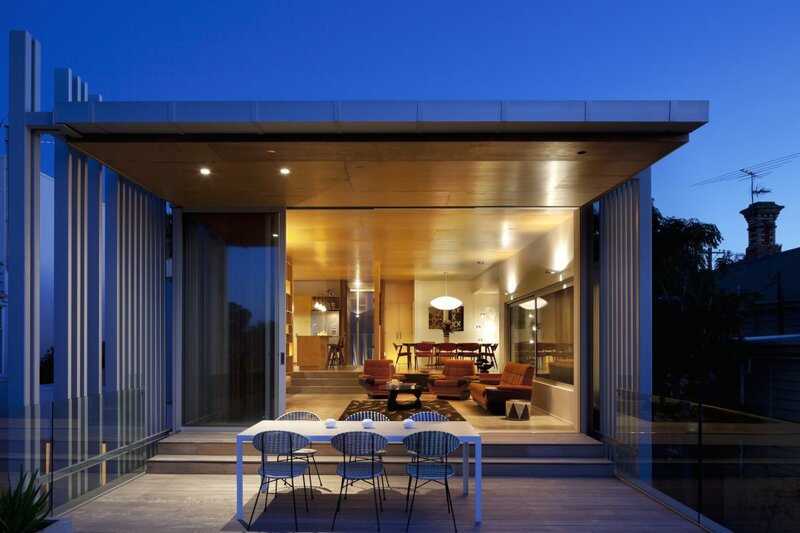 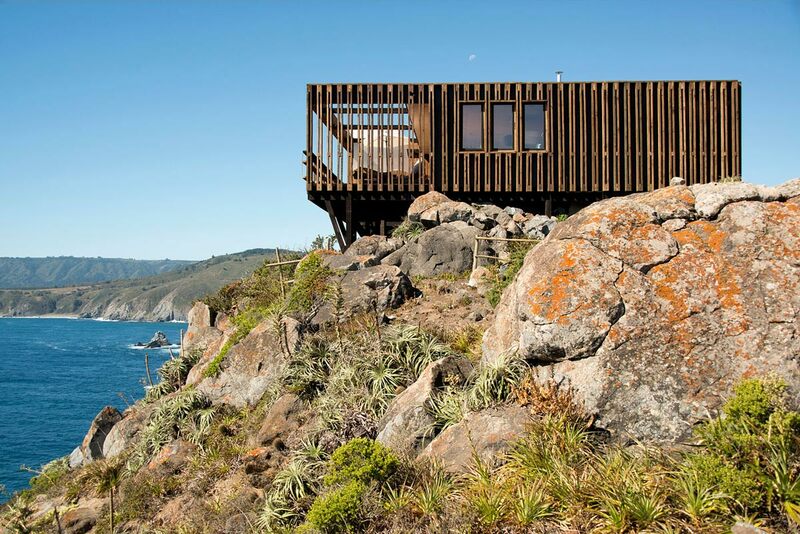 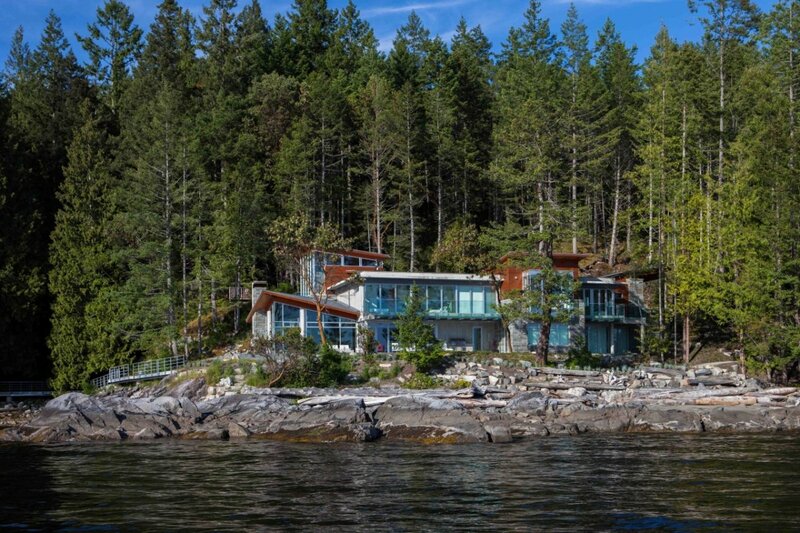 The living space opens out to a generous deck which with glimpses of the harbour.